Ah, California: the land of opportunity. The sun is always shining (well, not in San Francisco, but almost everywhere else! ), and the art scene is awesome. If you’re thinking about art school, some of the best colleges for you are located in the Golden State. In this article, I'll give you a list of all the art schools in California so you can take stock of your options. What Is an Art School and What's Included on This List? 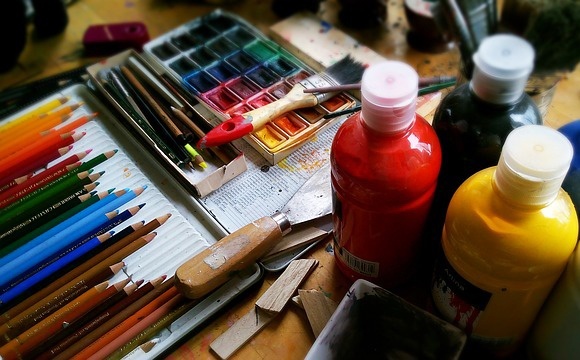 Most colleges have art departments, so you’ll likely have the option of majoring in art no matter where you go. For this list, however, I’ve only included colleges that are exclusively for art students. You should consider these types of schools if you’re absolutely sure you want to major in an artistic discipline and would like to be in an environment that'll provide you with a high level of specialized training. Art schools give students the opportunity to interact with many other individuals who share their artistic passions. By contrast, at less specialized schools, art departments might suffer from neglect since they represent a less popular major choice. Note that I did include some schools on this list that are technically subsets of bigger universities because they're autonomous enough to be considered art schools in their own right (though you would have to apply to the larger college to get in). All the schools on this list are all completely devoted to the education of art students and are chock-full of creative resources you might not find at other colleges. There's nothing more exciting than new art supplies. Imagine going to a college that's full of them! Below, I've listed all the art schools in California, accompanied by statistics (mainly from US News and Niche) and descriptions of what they offer to students. I'll go through the five best art schools first, followed by an alphabetical list of all other art schools in the state. I included pictures of some of the campuses, but you should definitely check out the school websites for more images and information! These five California art schools are world-class institutions, with excellent programs in a range of artistic disciplines. At ArtCenter, students receive a comprehensive education in their chosen disciplines beginning on day one. There is no first-year general education program, so this school is ideal for students who know exactly what they want to study. 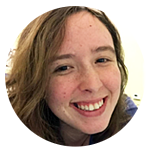 The interdisciplinary program allows students to work across different majors, thereby preventing the school's focus on specialization from limiting students' creativity. ArtCenter also partners with companies and organizations via its Designmatters program, which sponsors student projects that impact social change. One-on-one attention is the norm for students at the California College of the Arts (the average student-teacher ratio is 8:1). CCA includes a First Year Program that introduces students to studio practice and includes a portfolio review at the end of the year. In addition, there's a First Year Student Exhibition every year. Finally, CCA offers numerous resources for professional development and networking in the arts that will help students embark on fulfilling careers. Every student at CalArts is assigned a mentor who guides them through the program and assists them in independent study. CalArts has eight galleries dedicated to exhibiting student work and helping students get accustomed to hanging and presenting art in various forms. The school also houses several facilities for student use, including various media labs and a "Super Shop" for processes such as woodworking, metalworking, and moldmaking. Otis has been ranked among the best design schools in the US, with particular distinction in its fashion and animation programs. A strong advising and career counseling system guides Otis students to success in their respective creative fields. Students intern at art galleries, museums, and creative companies such as LEGO and Nike. Alumni and faculty at Otis include Fulbright, MacArthur, and Guggenheim grant recipients; Oscar winners; legendary costume designers; leaders of contemporary art movements; entrepreneurs; and top designers. 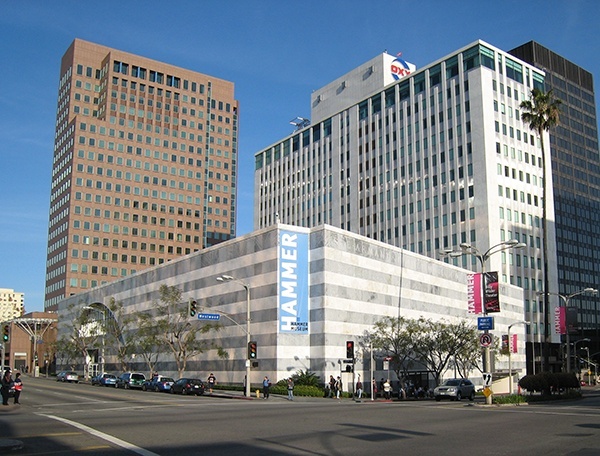 UCLA's School of the Arts and Architecture is composed of five degree-granting departments (listed above) and eight research centers: Art & Global Health Center, Art|Sci Center, cityLAB, Experiential Technologies Center, Game Lab, Grunwald Center for the Graphic Arts, Now Institute, and xLAB. This school incorporates a wide variety of outreach programs designed by students, faculty, staff and alumni; these center around concerts, exhibitions, symposia, and dance productions, which are presented in cooperation with groups throughout Los Angeles. If the schools above don't fit your needs, check out the rest of this list of art schools in California. There's bound to be one with the perfect program for you! 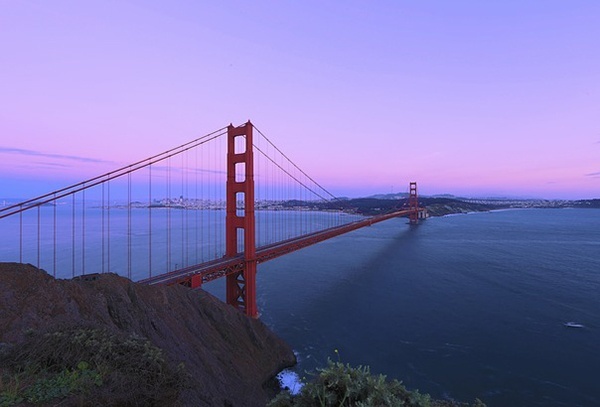 Academy of Art University hosts more than 70 student and alumni art shows in San Francisco annually, so there are plenty of opportunities to exhibit your work. It's also the first art university to be invited to showcase student work at New York Fashion Week biannually. Students have access to many different facilities for art-making, including lighting equipment, studio space, and green-screen rooms. 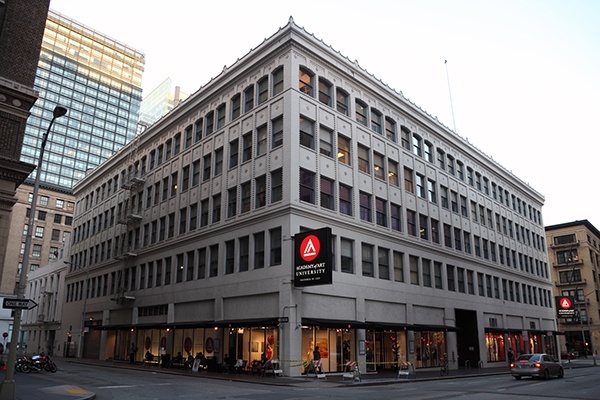 Moreover, the school's location in San Francisco means there are several opportunities to connect with creative internships and working artists. The Art Institutes are a network of 31 art schools across the country, so these two schools are just one part of a larger system. (Note that there are a few more schools in California, but these are in the process of shutting down; the Hollywood and San Diego locations are the only ones left in the state.) Currently, all Art Institutes of California are campuses of Argosy University. The focus at these institutes is a practical, hands-on education in the arts that will result in employment after graduation. 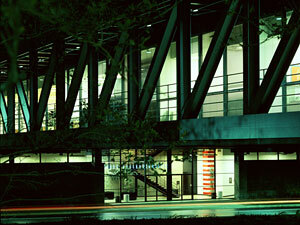 A strong Career Services department and modern curriculum are hallmarks of the Art Institutes. Be aware, however, that the school's parent company settled a lawsuit in 2015 alleging they used questionable tactics to enroll students who had little chance of success. The Design Institute is a highly specialized college for students interested in studying interior design. Both the American Society of Interior Designers (ASID) and International Interior Design Association (IIDA) sponsor student activities here. Students gain extensive insight into professional standards and practices through contact with working interior designers. This is another school that exclusively offers an interior design program. Students from this school have been recognized in international design competitions. Additionally, undergraduate students participate in the Institute's internship program, which allows them to gain experience working for design firms while still in college. The Laguna College of Art and Design offers an extensive foundation program for first-year students that provides thorough preparation for success in their chosen fields. 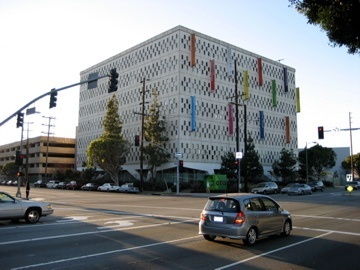 LCAD has grown over time to include the seven undergraduate majors listed above as well as a graduate department. The campus is only about an hour from Los Angeles, so students have easy access to museums, galleries, the entertainment industry, graphic design studios, and much more. Located in the design district of downtown San Diego, the NewSchool of Architecture and Design focuses on networking and learning to navigate an increasingly globalized design world. Students have access to unique study abroad programs, a diverse international student body, cross-location collaborations, flexible online learning, and world-renowned guest lecturers. In addition, the NewSchool has an 87% job placement rate for graduating students. The goal of Expression College, a for-profit school, is to prepare students for careers in the industries of sound and visual arts with a hands-on curriculum. Students here can earn a bachelor’s degree in just under three years with Expression's accelerated schedule. SDSU's College of Professional Studies & Fine Arts (PSFA) is recognized for connecting the college experience with the global community and for preparing its students for professional careers. On average, PSFA places 600 students in professional internships each year. 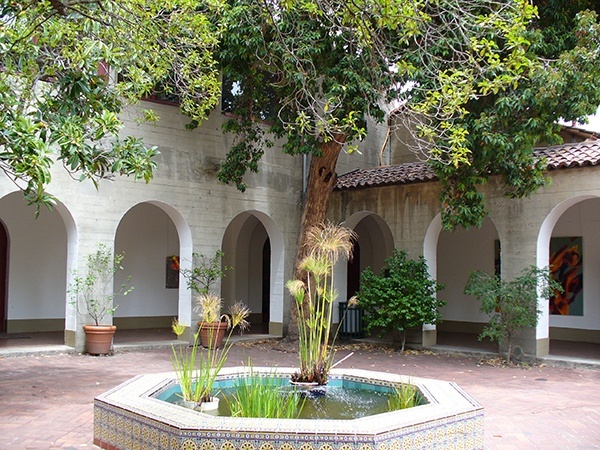 Founded in 1871, the San Francisco Art Institute (SFAI) is one of the nation’s oldest schools of higher education in contemporary art. Its core philosophy is fostering creativity and critical thinking in an open, experimental, and interdisciplinary environment. Students here are encouraged to forge their own pathways of study and supplement the Core Curriculum with electives across different mediums and fields. Sotheby's Institute of Art has campuses in London, New York, and Los Angeles. This art institute is for master's students only and focuses more on the professional side of art. Students on the Los Angeles campus learn how to create, manage, and lead arts initiatives and organizations. The school's urban location also gives students a broad range of opportunities to get involved with the dynamic downtown art scene. Part of the Department of Art and Art History, the UC Davis Art Studio focuses exclusively on fine arts. Students have access to Basement Gallery, an undergraduate-run exhibition space that displays student work, in addition to the Advanced Undergraduate Studio Space where students can reserve a space to work independently. Finally, the Visiting Artist Lecture Series gives students insight into what kinds of projects professional artists are currently working on. Facilities at UC Irvine's Claire Trevor School of the Arts include six theaters, a concert hall; three art galleries; the Beall Center for Art + Technology; electronic music studios; cutting-edge costume, lighting, and scenic design studios; a stage production shop; digital arts labs; and a video production studio. Undergraduate and graduate degree courses include extensive studio, workshop and performance experiences; theoretical and historical studies; and arts and technology practices. The School of Media, Culture, and Design at Woodbury focuses on a cross-disciplinary approach to art. Classes are paired in order to bring multiple perspectives to bear on the same design problem. Advanced seminars, which incorporate multiple majors, allow students to work together on outside projects or competitions. If you're looking exclusively at art schools, you've already narrowed down your choices for college quite a bit. However, it's still important to weigh your options carefully. First, think about location. While all these schools are located in California, some of them are in urban areas and others are in suburban or rural areas. Find out more about what these different types of environments offer to students. You should also look closely at the program offerings at these art schools. Is there a specific artistic field that interests you, or are you still unsure about the exact medium you want to study? If you're still undecided, consider attending a school that has a general education program so you can explore different modes of artistic expression before deciding on a major. If you're sure about what you want to study, make sure that the schools you apply to have the facilities and programs you'll need to fulfill your creative vision. Especially at art schools, a good career services department and plenty of opportunities for internships are a must. Verify that the schools that interest you have a high job placement rate and offer extensive career counseling to students. You should also look for colleges that have strong advisory systems and give students lots of individualized attention. These qualities will make for a smooth transition from college to the professional art world. Now get out there and start making some awesome art! 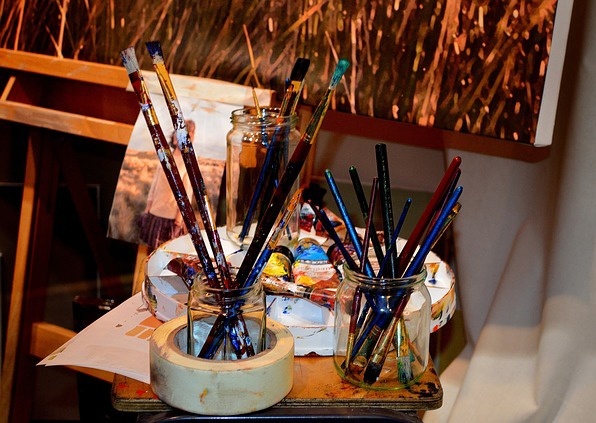 If you're planning to attend an art school, you'll need to make a portfolio of your work. Find out how to showcase your art in the best way possible for college applications. Are you interested in performing arts rather than visual arts? 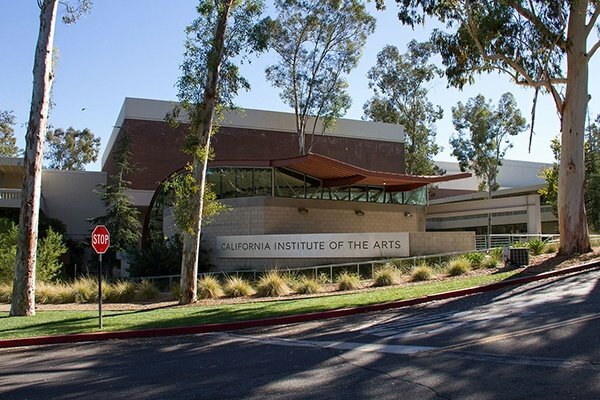 Check out this complete list of all the performing arts colleges in California. Worried about how your test scores will affect your chances of college admission? Learn more about when SAT and ACT scores don't matter in the application process.